Physical Education: This course includes both individual and team physical education activities. The content of physical education includes the effects of physical activity upon dynamic health, mechanics of body movement, aquatics, gymnastics and tumbling, individual and dual sports, rhythms and dance, team sports, and combative. All courses are conducted in a co- educational, inclusive manner. Emphasis is placed on coordination, balance, speed, endurance, reaction time, cardiovascular endurance, and teamwork. Completion of 20 units of physical education is necessary to graduate. 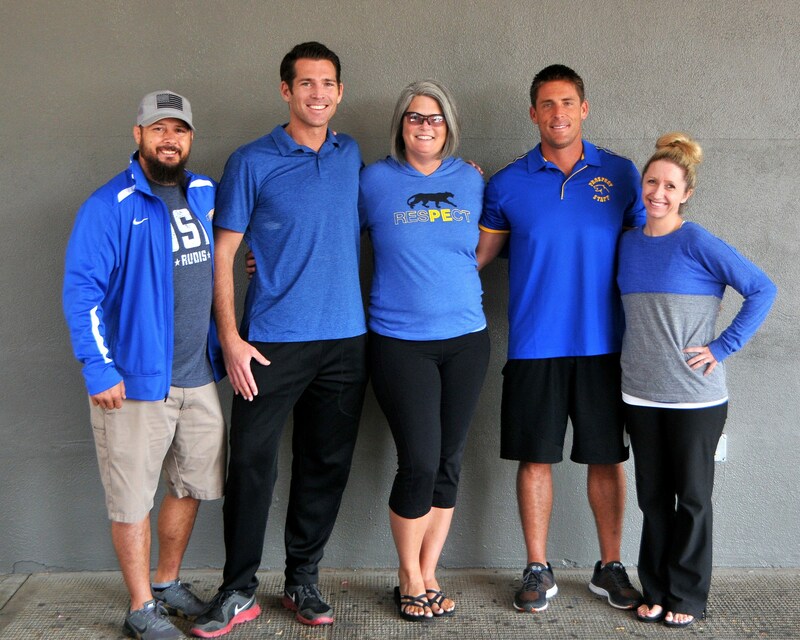 Sports PE is available to sophomores who participated on at least two competitive school-based CIF approved sports teams as freshmen during the previous year, earned a 'C' or higher in their 9th Grade Physical Education class, and passed 5 out of 6 of the Physical Fitness Tests (PFTs). 10th Grade students enrolled in Sports PE are expected to participate in two school-based CIF approved competitive sports during their sophomore year in order to receive 10 units of credit towards their Physical Education graduation requirement. Sports PE students must maintain academic eligibility—earning a 2.0 GPA or higher. The Military Science program develops leadership skills, self-discipline, teamwork, individual initiative, citizenship, and respect for our government and country. Military Science 2 includes the effects of physical activity upon dynamic health, mechanics of body movement, aquatics, gymnastics and tumbling, individual and dual sports, rhythms and dance, team sports, and combative skills. Military Science 3 cadets begin to use their leadership training as they assume positions of increased authority and responsibility within the School program. Detailed instruction on personal finances is presented, as well as other preparation for life beyond high school. Military Science 4 cadets continue to use their leadership training as they assume positions of increased authority and responsibility within the school.